Lack of tools or models? Dawn has almost two decades counseling polyamorous, open, consensually non-monogamous, monogamish, and poly-curious people all over the world - people just like you! Book a FREE 60-min Phone Consultation! Because no matter who or how many you love, Love is ALWAYS OK! "Thanks again for the role that you played in our relationship. I do not think we would have made it past a year without you." More info about past and upcoming events including workshops in CA and elsewhere! JOIN ME AT: Sumati Sparks' FREE ONLINE EVENT! : Successful Open Relationships & Polyamory -- Experts Reveal How to Add More Love, Passion, & Joy to Your Life! Sumati Sparks of Leading Edge Love Radio interviewed Dawn on 5/23. Click here to listen to the recording! 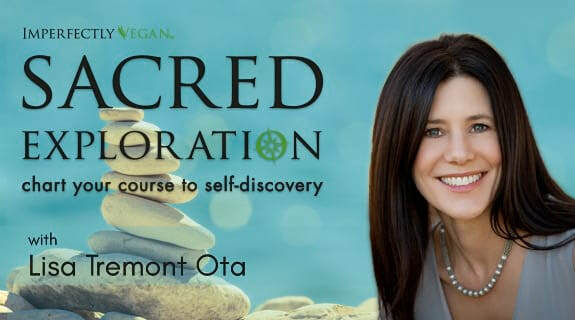 Lisa Tremont Ota interviews Dawn about The Five Love Langages on her Sacred Expoloration Voice America radio show. Click here to listen to the recorded episode! Listen to this interview of Dawn, by LeGrande Green, creator of the BOLD Podcast; Emmy-winning former producer for Oprah! Do jealous feelings have you or your partner/s feeling overwhelmed, sick, or just a bit GREEN? Good News! If you can name your feelings, you can start to get a handle on them. Get this free Jealousy Diagnosis Tool to help you identify which 40 possible jealousy triggers in 11 categories are turning you green! ﻿"Your writing is inspirational and helped me transition into open and poly mindsets." Join FREE Love OTB Newsletter!